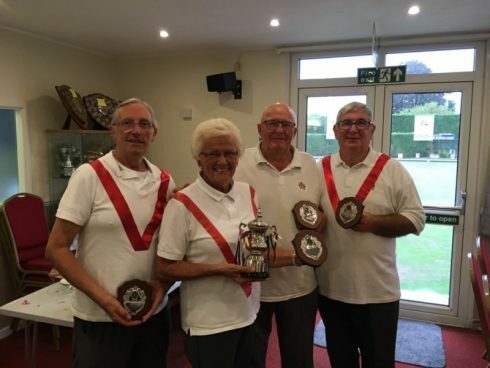 Neil Hope, a former member of Highworth Bowls Club, was part of the victorious Leicestershire side that secured the Middleton Cup for the first time since 1964 on Saturday 3rd August, beating Devon in the final. Leicestershire had trailed by four shots with one rink still to complete their 21 ends and they duly collected the shots required, levelling the match 119 – 119 and forcing the playing of an extra end across all rinks. All rinks then went back on to the green, with the shot scores from the each rink’s extra end counting towards the outcome. The Leicestershire rink that had brought about the tie then recorded five shots on their extra end and with three of the other four completed extra ends won, the 9-1 outcome meant that the title was Leicestershire’s. 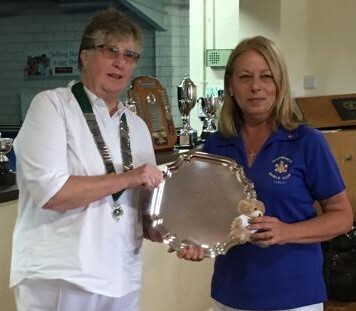 Bowls Wiltshire Ladies’ (BWL) Johns Trophy team, featuring Highworth’s Joanna Hicks, Maggie Jordan and Linda Young, went to the National Finals at Leamington on Saturday 3rd August seeking to bring the trophy back to Wiltshire for the first time since 1995. 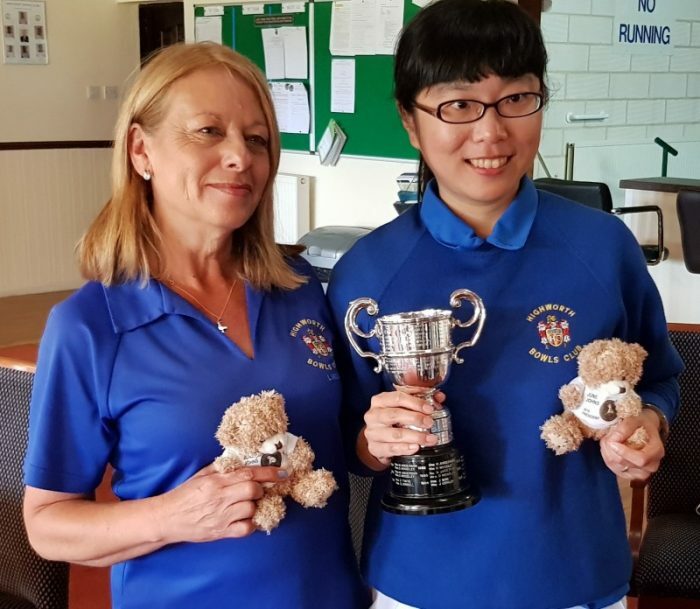 With both semi-final and final to be played on a hot and humid day, the Wiltshire ladies set about Yorkshire in their semi-final and were never seriously troubled during the match, eventually running out 129 – 79 winners. 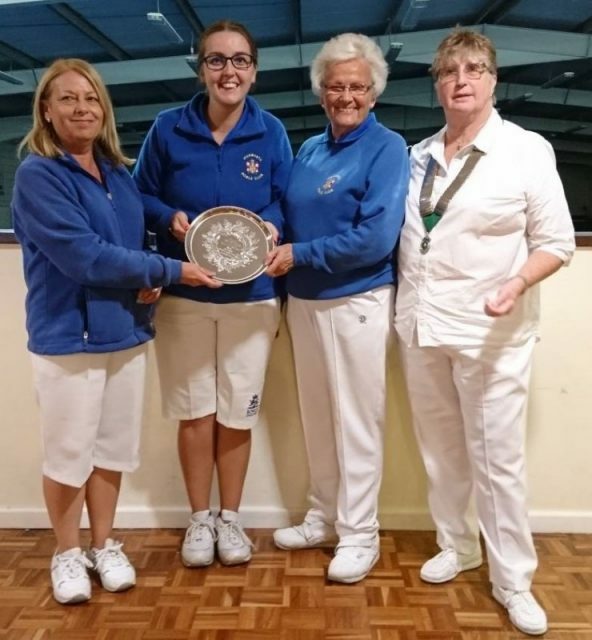 Jo, Maggie & Linda, playing with Bev Lilley from Devizes, had the tightest of struggles, but just lost out at 12 – 13. In the other semi-, Surrey edged Northamptonshire 117 – 110 to set up a Wiltshire vs Surrey final. In the final, Surrey got off to a good start and within 10 ends were 20 points to the good, but Wiltshire responded and quickly reduced the deficit to four before seeing the game drift out of their grasp, Surrey finishing 125 – 109 to the good. 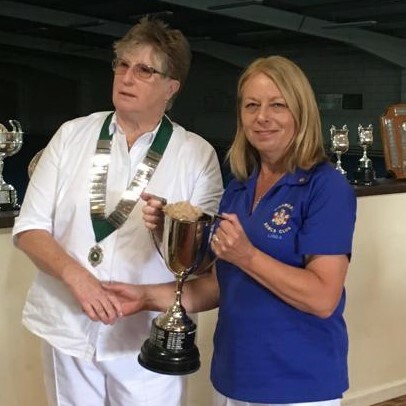 Both sides finished with three winning rinks each but, whilst the Highworth ladies laid claim to being Wiltshire’s best winning rink with a 27 – 17 success, the scale of the losses elsewhere outweighed the combined efforts of the winners. So commiserations to the ladies, but well done on getting to the final and hopefully next year the team can go one better. 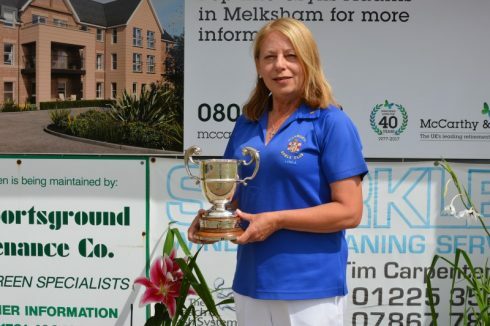 Linda wins County Singles Title. 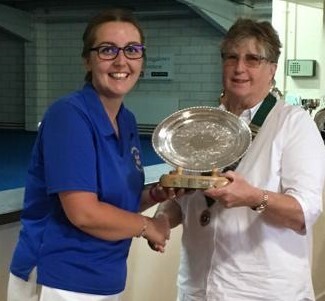 Linda Young got her hands on the Bowls Wiltshire Ladies’ County Singles title on Saturday 28th July at the BWL Finals Day, which was held at Avon Bowls Club, when she beat Lucy Smith of Royal Wootton Bassett 21 – 17. Well done to Linda and a great boost for her just ahead of Leamington and the Nationals.